Sunrise Park is the quintessential midcentury modern neighborhood. 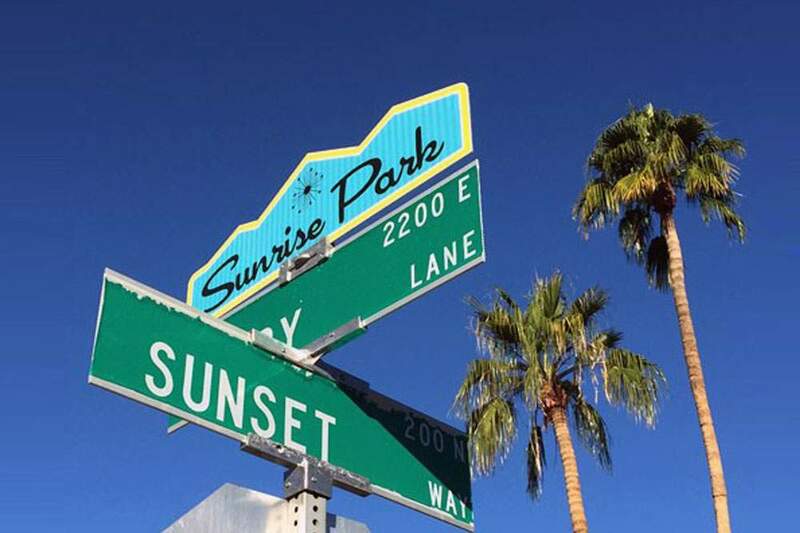 Located in Central Palm Springs, between the airport and downtown, Sunrise Park features homes built by some of the most prominent builders. In fact, the Alexander Construction Company and Jack Meiselman built homes that make up this planned neighborhood. What’s unique about this area is the fact that many of the homes are built with some of the best midcentury modern attributes. Since 1950, the neighborhood has truly transformed. The neighborhood got its start in the early 1950s when it was known as the Desert Palms Estates. The area has the perfect balance of architecture and beauty. Here one can find midcentury modern and ranch-style homes. Sunrise Park features houses that share many similar architectural attributes: butterfly roofs, clerestory windows and sculpted concrete blocks, among others. 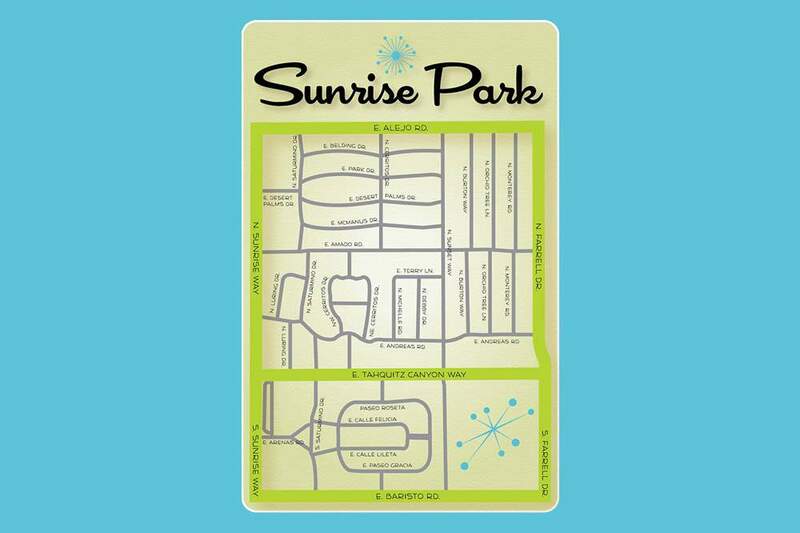 A centrally located neighborhood, Sunrise Park is close enough to town to have access to everything Palm Springs offers. In fact, convenience is what residents love about this neighborhood. In addition to convenience, this area is diverse. With some of the most beautiful Mid-Century Modern and ranch-style homes in Palm Springs, this neighborhood is truly a stand out community.